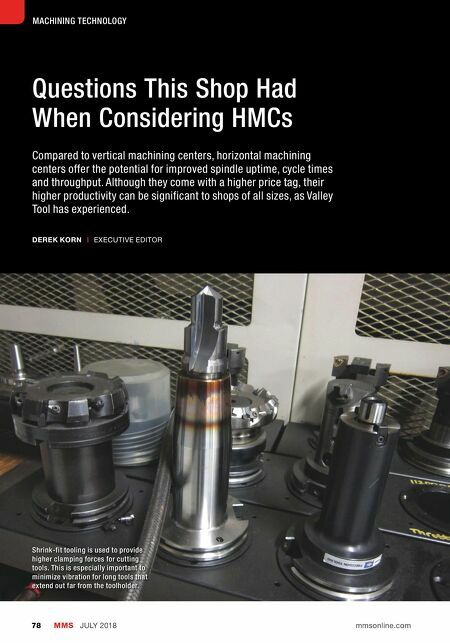 MMS JULY 2018 78 mmsonline.com MACHINING TECHNOLOGY Questions This Shop Had When Considering HMCs Compared to vertical machining centers, horizontal machining centers offer the potential for improved spindle uptime, cycle times and throughput. Although they come with a higher price tag, their higher productivity can be significant to shops of all sizes, as Valley Tool has experienced. 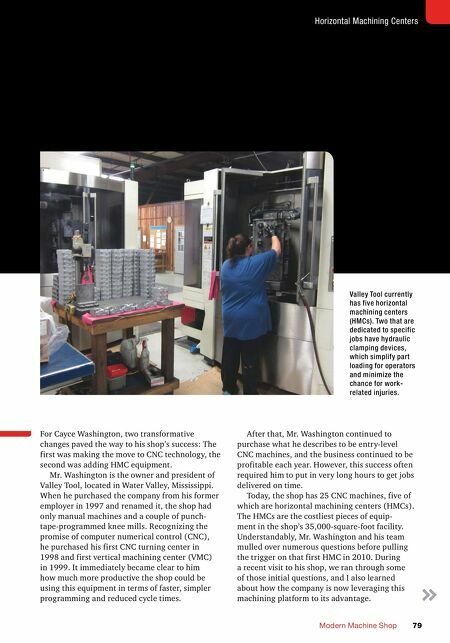 DEREK KORN | EXECUTIVE EDITOR Shrink-fit tooling is used to provide higher clamping forces for cutting tools. This is especially important to minimize vibration for long tools that extend out far from the toolholder.